Leading Conservative party figures Boris Johnson and Philip Hammond are expected to appear at the DUP party conference this weekend. Former Foreign Secretary Boris Johnson has been an outspoken critic of the Government since his resignation in July 2018 over the Chequers draft of the Brexit agreement, while Philip Hammond has been Chancellor of the Exchequer since 2016. 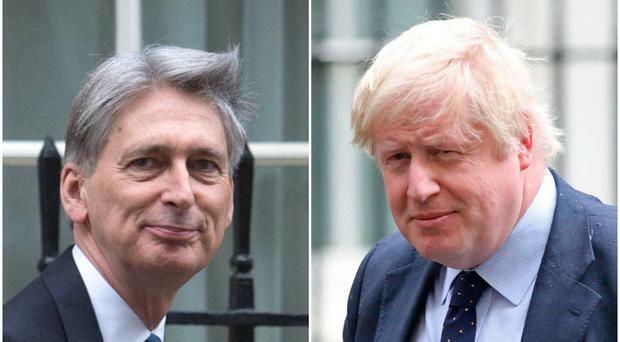 The Impartial Reporter reports Mr Hammond will address the conference with a speech on Friday night, while Mr Johnson will address the conference on Saturday. Relations between the DUP and the Conservative party have soured in recent days over the shape of the draft agreement between the UK and the EU, and the DUP's view the current agreement would separate Northern Ireland from the rest of the UK. On Monday night the party abstained and voted against the Government in a number of key votes on amendments to the the Finance Bill, which deal with the implementation of measures laid out in the Budget. Following the votes DUP MP Sammy Wilson stressed the move did not imply the end of the confidence and supply agreement, but was intended as a warning to the Government.